630 Meter transmitter only kit? Discussion in 'The Low Bands - 630/2200 Meters - VLF' started by WA4ILH, Oct 8, 2018. I have seen advertisements for transceiver kits and even transverter kits for MF. Many of us already have transceivers that will receive down below 100 KHz. My Kenwood TS-480SAT will receive down to 30 KHz. Same for my trusty old Kenwood TS-440S which is still a good radio after more than 30 years. It sure would be nice if someone came out with an AFFORDABLE 630 meter transmitter only kit. At one time, I had the test equipment and the spare parts in my junk box to build something like this in an afternoon but, after many moves, and retirement, I no longer have most of the junk I had accumulated over the years. I don’t even remember if my old Heathkit grid dip meter had a coil that would go down below the BCB. Haven't heard of one, but a CW or direct conversion DSB transmitter should be pretty easy to do. The old Heathkit GD-1B had an optional coil that would take it down to 350kHz. Roger that Mark. I doubt if I had any optional coils for my GD-1B. Some of the newer antenna analyzers have what would amount to a grid dip function at a couple of hundred bucks. I guess I need to look into one of those. I remember winding double cotton coated wire on an oat meal box for my first crystal radio. I seem to remember the grid dipper went down to at least part of the BCB. 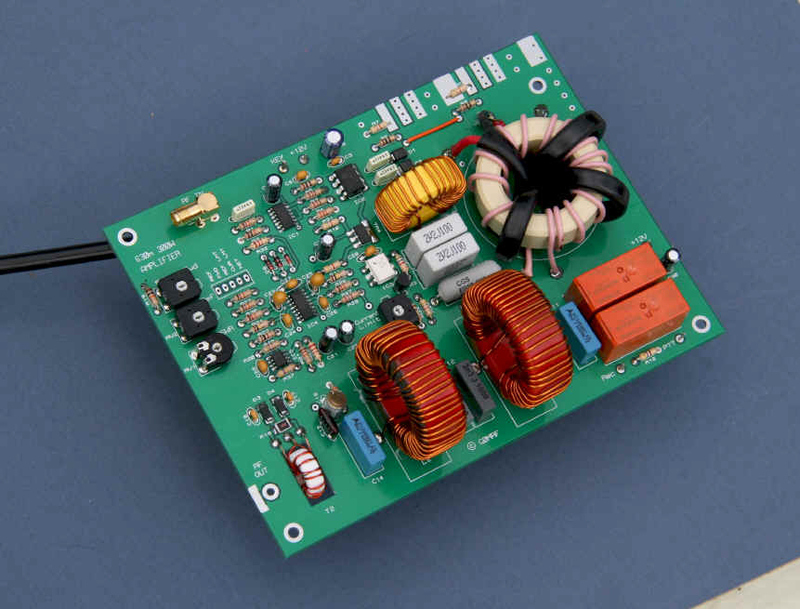 G0MRF offers a 630m Class D amplifier board/kit, with selectable power 25w-300w. PCB only is $28, Full kit $98. The G0MRF amplifier requires frequency input at twice the operating frequency. He provides a schematic for a frequency doubler interface that can be scratch built on perf board and has about ten components as I recall. Quite simple. Thanks Bill, looks interesting. I may give it a try. I used to have pretty good soldering skills in the past. I worked depot level maintenance at Norfolk Naval Shipyard years ago when Large Scale Integration was just becoming the standard but my 70 year old eyes may not be up to some of the newer SMT stuff. Still, for 100 buck, I may give it a go. If you were on a carrier, you would have been in drydock 8 which is (was?) just across the street from the electronics shop (shop 67). I always thought that was amazing how the engineers could place the blocks in the bottom of the drydock for a particular ship and then pump out the dock and have the ship slip dowwn on the blocks.